Extend your poncho season into the spring and summer! Your favorite cover-up style is back in a lightweight all season design. 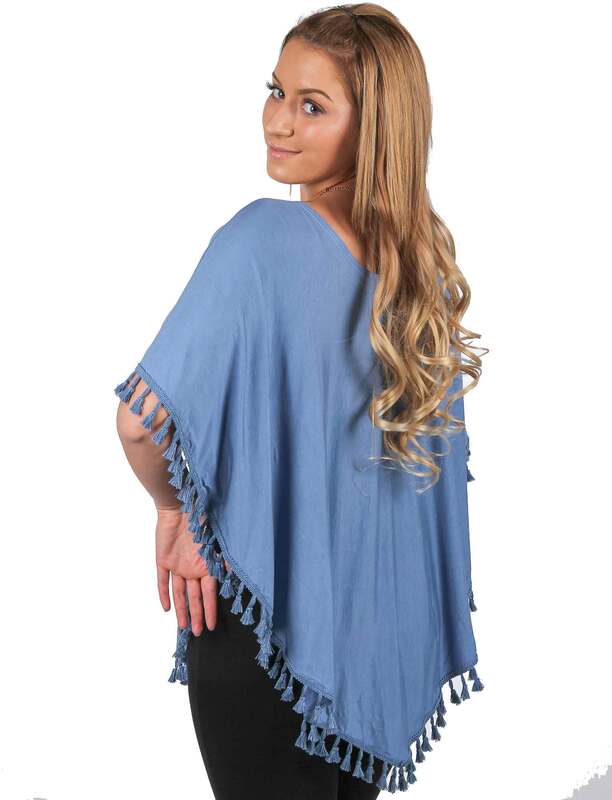 Dress it up or dress it down, this chic poncho with swaying tassels will add the perfect final touch to any outfit for any season.